Sharara suits have got to be this year's hottest pick in ethnic fashion. From festive celebrations to weddings functions, our Bollywood celebs have clearly been showing major love for this breezy ethnic outfit. And why not? Shararas are super comfortable and they also work effortlessly for a chic style statement. A perfect case in point is Bollywood star Sara Ali Khan, who recently made a standout appearance in a gorgeous sharara suit. The young star has been busy with the promotions of her debut film Kedarnath, and she has been doing so very stylishly by stepping up her ethnic game. Sara's love for Indian ethnic wear is of course no secret. Time and again she is seen sporting gorgeous ethnic outfits and looking on point. 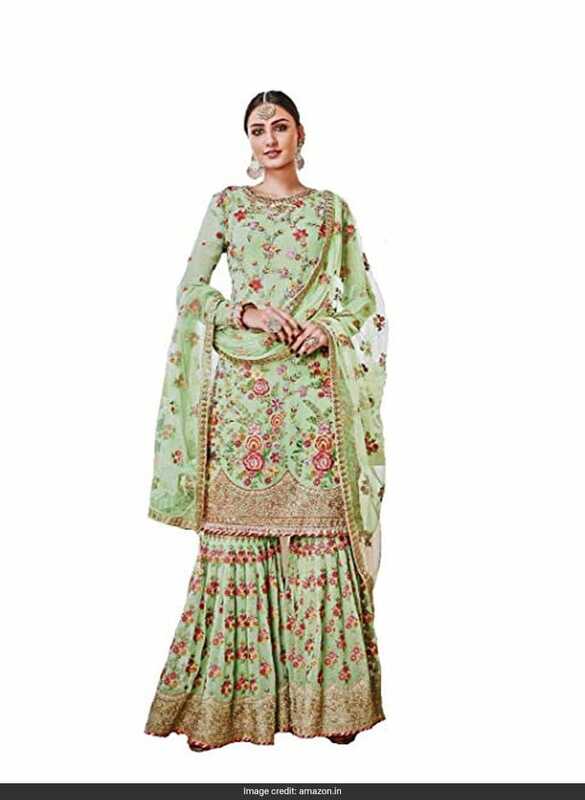 She once again impressed everyone by picking a lime green sharara suit by Sukriti & Aakriti that featured pretty floral embroidered details and a chic pair of shararas with multiple panelling. To complete her look, she wore matching bangles and a trendy hairdo, and looked absolutely stunning. Spread some floral love in this pretty sharara suit that will make for a standout look. It features intricate floral embroidery in multiple colours and embellished gold panelling that gives it an extra edge. 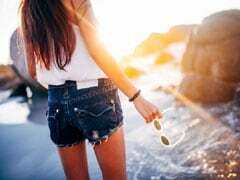 You can buy it for a discounted price of Rs 2,947. Shop here. Glam up for a wedding function by picking this gorgeous sharara suit that will instantly make you the centre of attention. It features a knee length kurta and fit and flared sharara pants with heavy floral embroidery in gold and embellished borders. It comes with a simple black dupatta to balance the look. You can buy it for a discounted price of Rs 4,999. Shop here. Set ethnic style goals in this elegant sharara suit that is sure to become your favourite. 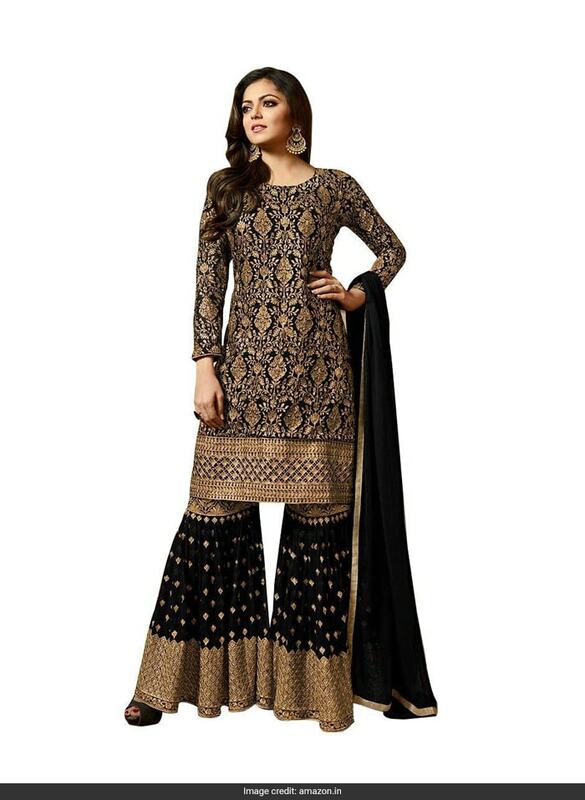 It features a knee length kurta with gold floral embroidery and contrast sharara pants with shimmery gold detailing. 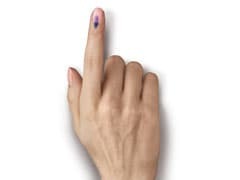 You can buy it for a discounted price of Rs 1,999. Shop here. 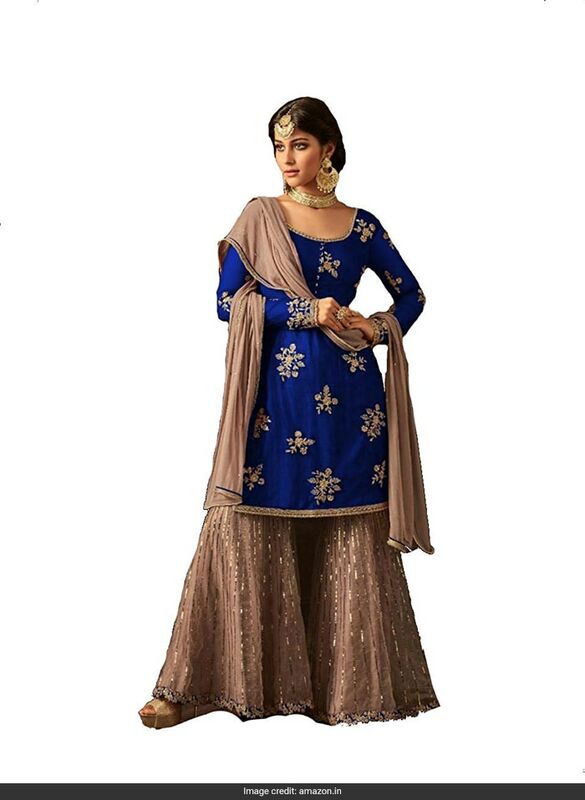 Take your ethnic style game to a whole new level with this stunning sharara suit. 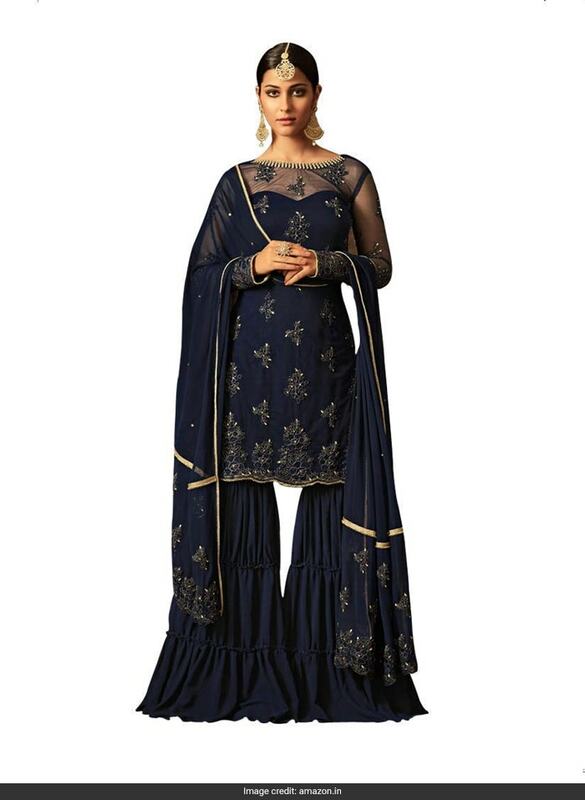 The midnight blue set features a knee length kurta with sheer panels and intricate floral embroidery, sharara pants with pleat details and a matching dupatta with gold taping and floral embroidery. You can buy it for a discounted price of Rs 2,999. Shop here. To keep it casual and chic, dress up in this pretty floral printed sharara suit and stay on point like Sara Ali Khan. The light pink set features floral printed patterns and embroidered panels. It is available for Rs 1,328. Shop here. Take style tips from Sara Ali Khan and make chic style statements in trendy shararas.